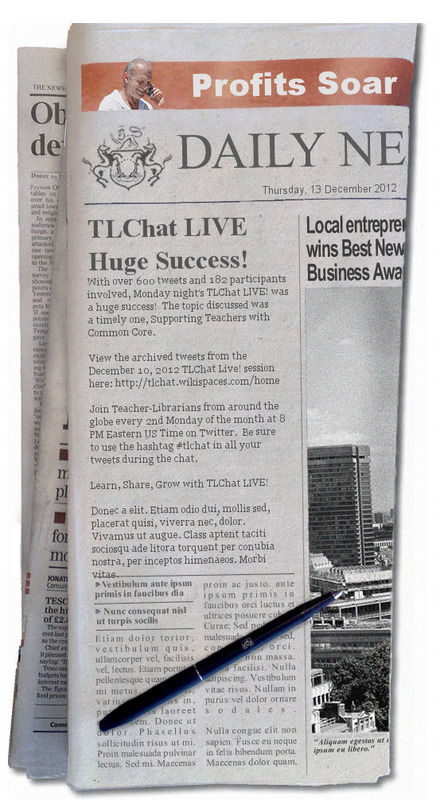 The #TLChat this past Monday, December 10, 2012 was a huge success! With over 600 tweets and 182 participants involved, Monday night's TLChat LIVE! was a huge success! The topic discussed was a timely one; Supporting Teachers with Common Core. Join Teacher-Librarians from around the globe every 2nd Monday of the month at 8 PM Eastern US Time on Twitter. Be sure to use the hashtag #tlchat in all your tweets during the chat. 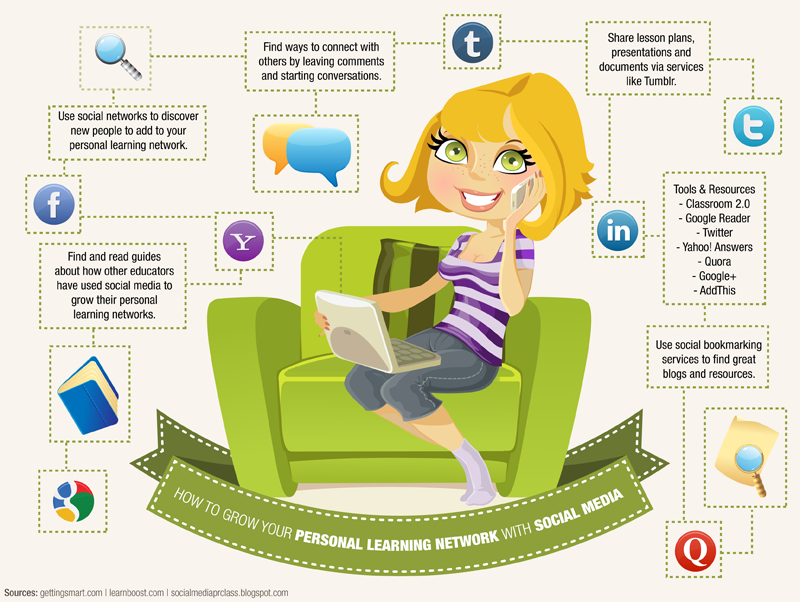 Learn, Share, Grow with TLChat LIVE! Education guru, Kathy Schrock, joined in on the fun Monday night sharing her great Common Core Rubric Creation Tool and Common Core Checklist for grades K-6. Now that the TLChat Live! is over, I am let to sort through the many resources shared and come up with an effective was to deliver this information to my teachers. I have started by adding to the Auburn High School's Common Core Resources Pinterest Board, many of the resources shared during the Twitter chat. Starting in January, a concerted effort to orient teachers to the Common Core, specifically the College and Career Readiness Standards (CCRS) for the state of Alabama will begin. Auburn High School will begin with a special back to school professional development session lead by Central Office personnel, Karen Anderson. This will be followed later in the month with Technology in Motion Regional representative, Tamara Sanders, leading the Auburn High School staff through the Alabama State Department CCRS Insight Tool (http://alex.state.al.us/ccrs/). The Insight Tool is amazing! You can choose from three tabs: Math K-12, English Language Arts K-12 or Literacy in all Contents. From there you can filter by Domain, Conceptual Category, and Grade Level. Once you have filtered your search parameters, you have a neat set of columns that provide the CCRS Standard, Teacher Vocabulary word lists (great for a word wall), Standard ID, Evidence of Student Attainment, Skills Indicators, Knowledge Indicators, and Understanding Indicators, AMSTI resources, and direct links to ALEX lesson plan resources (example: http://alex.state.al.us/plans2.php?std_id=54051). I will follow up these two great PD sessions with monthly, departmental Coffee Chat sessions that will focus on one new tool that can be used for a majority of CCRS standards: Google Drive. I choose to focus on Google Drive as the one new tech tool to support CCRS at our school for several reasons. First, after extensive research on tech tools to support CCRS, the one technology that appeared repeatedly was Google docs/Drive. Even the always amazing Richard Byrne (Free Technology For Teachers) has written a few articles about using Google Drive as the ultimate CCRS web 2.0 tool (http://bit.ly/TWRDm7). 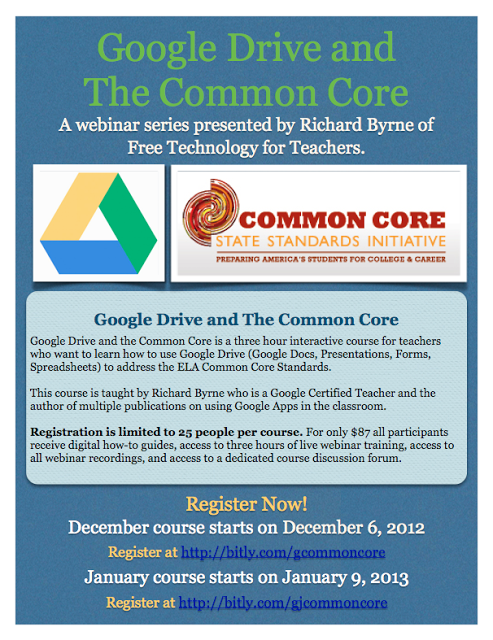 Richard is also offering a three hour webinar entitled: Google Drive and the Common Core. Second, Auburn High School began using Moodle as our online learning management system three years ago. Google and Moodle merged in 2009 and work as a perfect pair. Google Docs/Drive is compatible across platforms (PC & Macs). 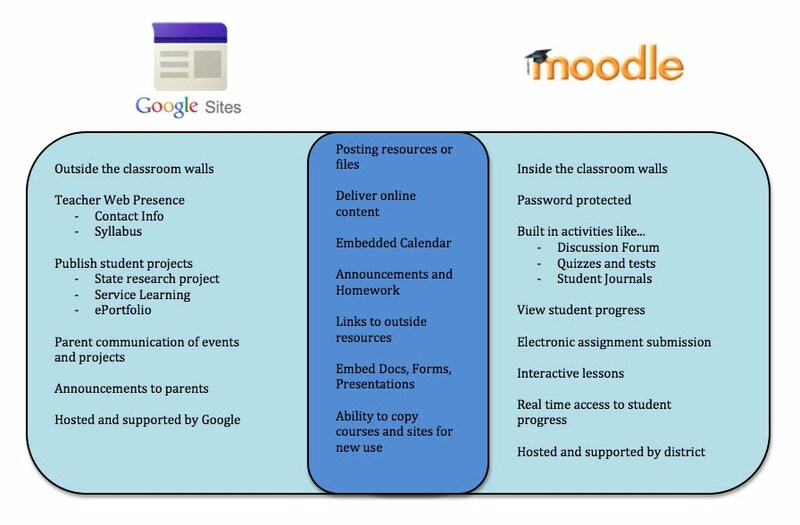 The more I can get teachers to use Google Documents in conjunction with Moodle the less students will experience compatibility issues when accessing Moodle at home where they may not have access to Microsoft Office. Teaching Coffee Chat sessions about Google and how to effectively use it with Moodle and CCRS will just be a continuation of PDs taught over the past three years. I am so grateful for my awesome PLN of Super Teacher-Librarians who are willing to take the time to learn, share and grow together through the TL Chat Live! Twitter chat sessions. I wouldn't be half the professional I am if it weren't for the wealth of knowledge so freely shared in my PLN. Thank you for including my Pinterest board! 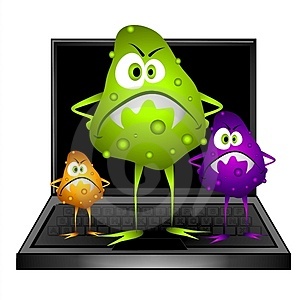 I'm sorry I missed the chat--a bit under the weather, but I really enjoyed your recap with all the links and comments!